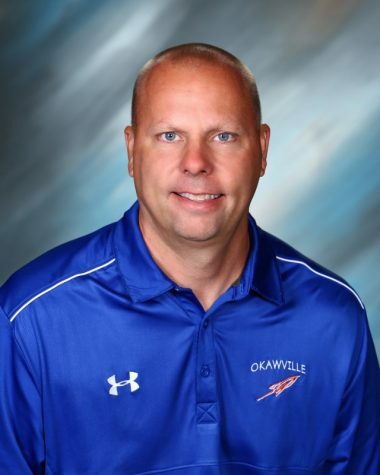 Another school year brings another new band director for Okawville. This year, the role has been taken over by Mr. Reed Recker. Mr. Recker attended SIU-C for four and a half years and taught for two years in Pinckneyville before coming back to Okawville. Mr. Recker resigned from teaching at Pinckneyville after he saw a job opening for a new music teacher at Okawville. When asked about his goals for the high school and junior high band and chorus, he said, “The biggest thing is to have a program of the best quality that we are capable of, that is a fun atmosphere and not just creating good music students. I want kids coming out of my class better citizens.” He also states that it isn’t just about the music, but the opportunities music can give a student. He has already given the students music opportunities: ILMEA and Prairie State Honor Band. Both are challenging but rewarding opportunities for those involved. Mr. Recker has been engaging his band and chorus students in plenty of activities. His top priority, as of now, has been the Wheat Festival Parade and concert. He has ensured the students are working hard to make the performance as perfect as possible, but also that they are having fun. Though trying to pick up where the last band director, Mr. Galvin, left off has been a challenge, Mr. Recker has been doing his very best to keep the music program active and of top quality.